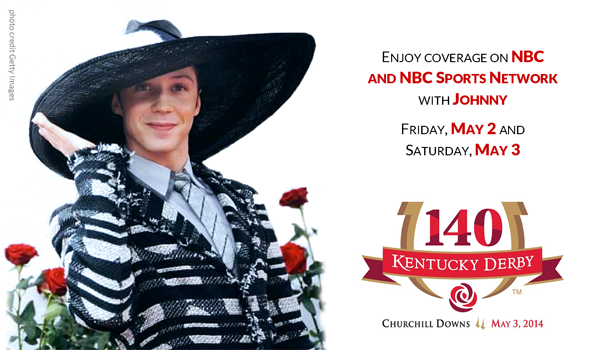 Set those DVRS: Johnny returns to the Kentucky Derby!! It’s his first appearance at the event since 2010, when he wowed with the outfit above (the HAT!) 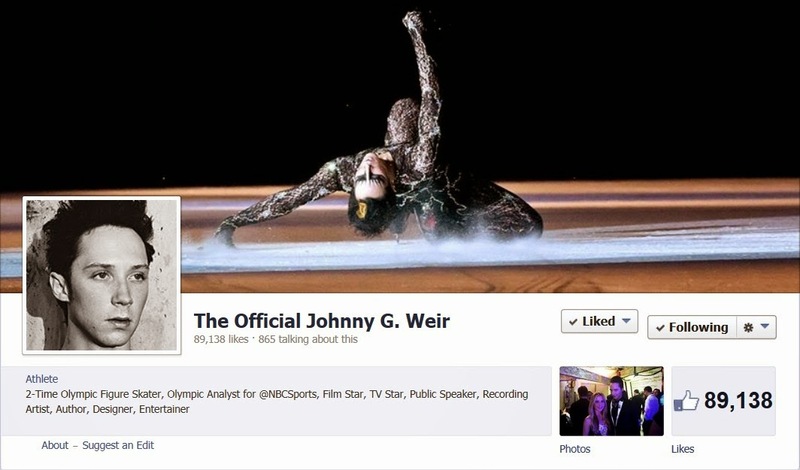 He’s reuniting with partner-in-crime Tara Lipinski to do fashion commentary for NBC Sports Network on Friday, May 2, for the Kentucky Oaks race, and for NBC on Saturday, May 3, at the 140th Run for the Roses. I believe he also may be doing additional pre-race coverage for NBC Sports Network Saturday afternoon. And I hear he’s expected at the traditional Barnstable Brown party as well. with his graciousness and humor. 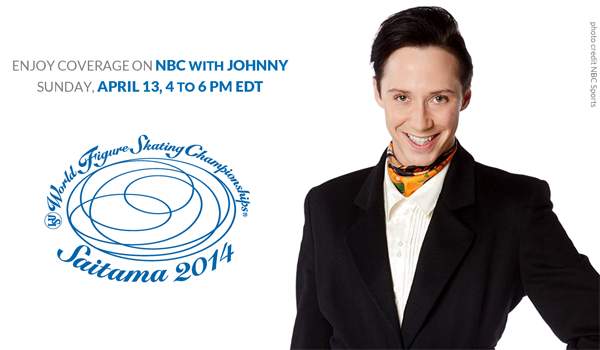 this Sunday, April 13, for Worlds 2014! at 4 pm EDT. Don’t miss it! Please go “like” it now! and the “likes” transferred to the new page. at Team USA’s “Best of U.S.” awards show. of Summer Olympian Jennie Finch. to help reduce its reach across social media.